In our house, this is like Christmas! I wanted to take this opportunity and this day to come back to my blog. Oh how I have missed it, and I couldn’t think of a better day to come back. On World Down syndrome Day, it is my goal to spread awareness about how awesome my boys are (and all other people with Down syndrome). So without further ado, I want to share a little letter I wrote to my boys on this special day. You are the handsomest boys I have ever seen. As I write this you are hugging each other and giggling so much. Your love for each other is contagious (although you fight too! ) . Your daddy and I often just sit and watch you in awe of the fact that we get to be your parents and tell the world how awesome you are. You see, I was born two months early, and the doctors told mim and poppa that I shouldn’t have made it. They have always told me that God put me here for a reason. And I am pretty sure that reason is because of you two. Today is a day of celebration in our home. We wear our crazy socks, our Down syndrome awareness tees, we do acts of kindness, give the teachers and kids at school some cool socks, and usually there is cake. This year, daddy and I get the opportunity to go hear some amazing adults with Down syndrome talk about their lives. We love celebrating you guys and today! I want you to remember 3 things on this day, March 21, 2019. You are just who you are supposed to be. You have exactly the right number of chromosomes. You have the perfect color hair and eyes. You like the things you like and you don’t like the things you don’t like. You are both super brave, and oh so stubborn. You are also comfortable in your own skin (which is an example to me so often). You were fearfully and wonderfully made by God. He did not accidently give you an extra chromosome or two. He does nothing by accident, least of all you. You can do or be whatever you want to be. Now, many people see a mother with rose colored glasses who thinks her kids can do no wrong or who has too much faith in her kids abilities. But let me tell you, I honestly believe that whatever desires you both have, you will make it happen. I will help you reach those goals and make those dreams come true in any way I can. You both are determined, brave and smart. There is no doubt you will work hard to make your dreams come true. And I will be there, the proudest momma in all the land. I will not put limits on you, my boys. Don’t let others limit you either. You really are. I honestly sit and stare at you so often, because you are just magical. Your almond eyes, the cutest noses, and your smiles light up any room you walk in to. I listen to the Ben Rector song, Extraordinary Magic and cry every time. Truer words have never been written when it comes to you, my precious boys. So today, I will celebrate until the cows come home. I will shout your worth from the rooftops, and work my booty off to change the narrative surrounding down syndrome. 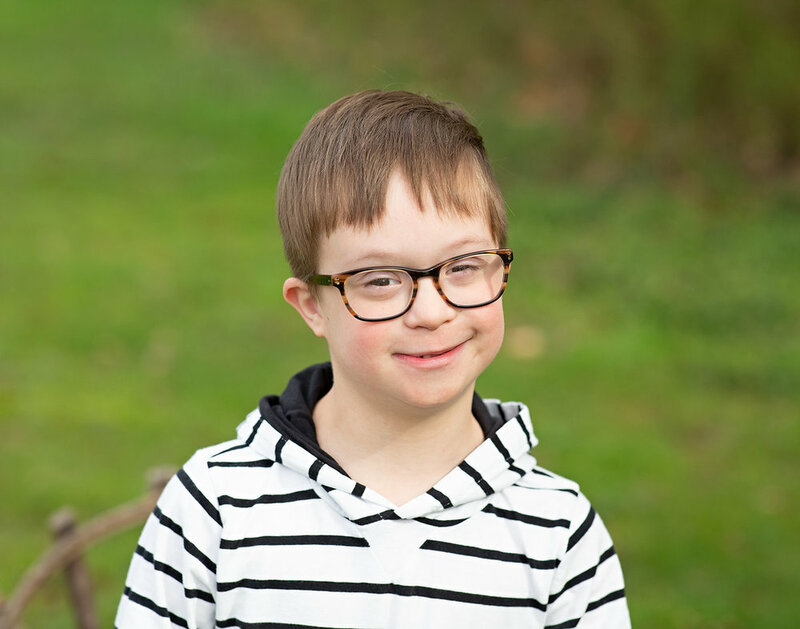 Although sometimes I do feel like I have the best secret ever- that kiddos with Down syndrome are actually the best of all the kiddos- but I am a little biased. You are loved, celebrated and cherished everyday- but we will take today and tell everyone everywhere.